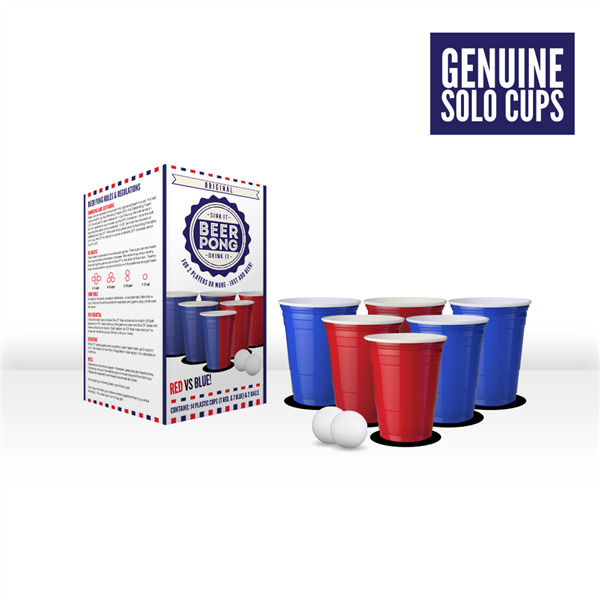 The Classic Red Vs Blue Beer Pong Set contains 7 red cups, 7 blue cups, 2 custom made player mats and 2 ping pong balls (various colours). 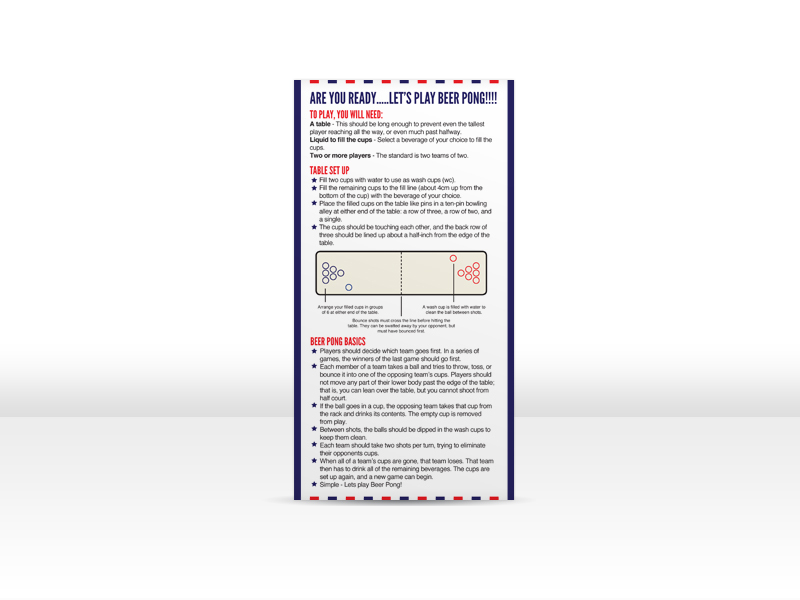 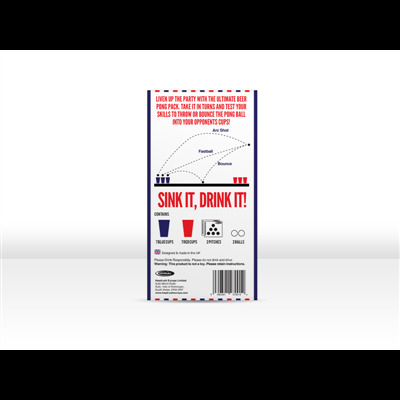 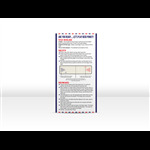 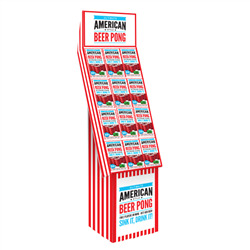 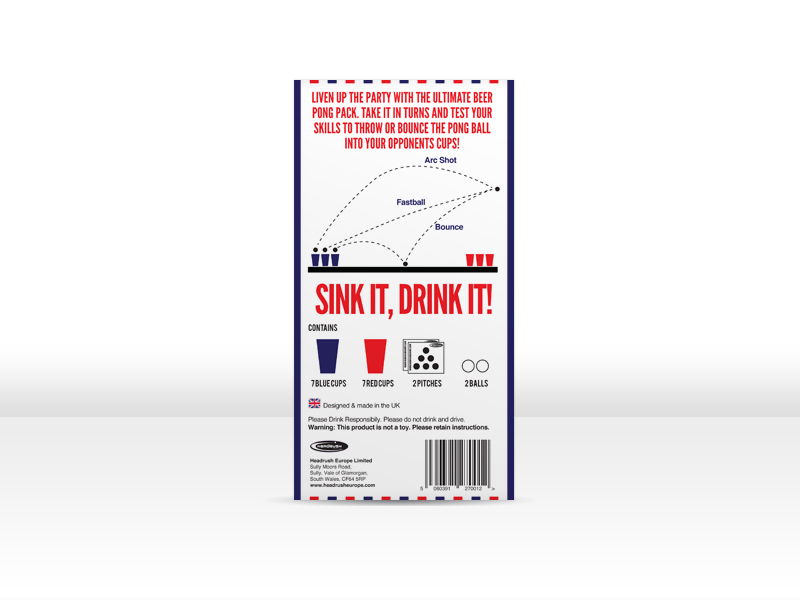 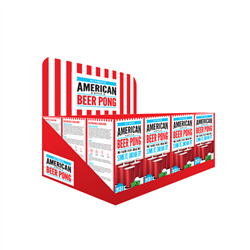 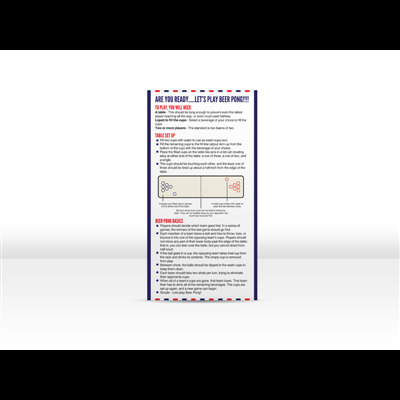 The instructions for the beer pong game are printed on the side of the atrractive retail box, resulting in this product being suitable for any shelf or online shop. 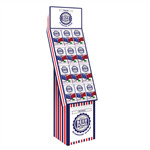 Made in the UK by Headrush Europe, this set is always readily available. 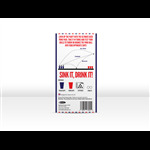 Cup size - 16 oz. 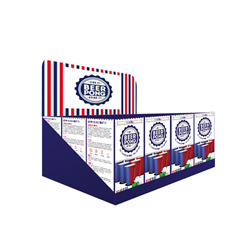 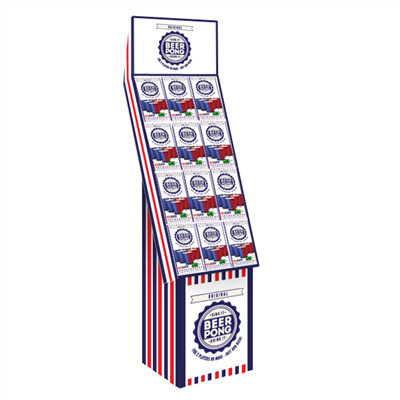 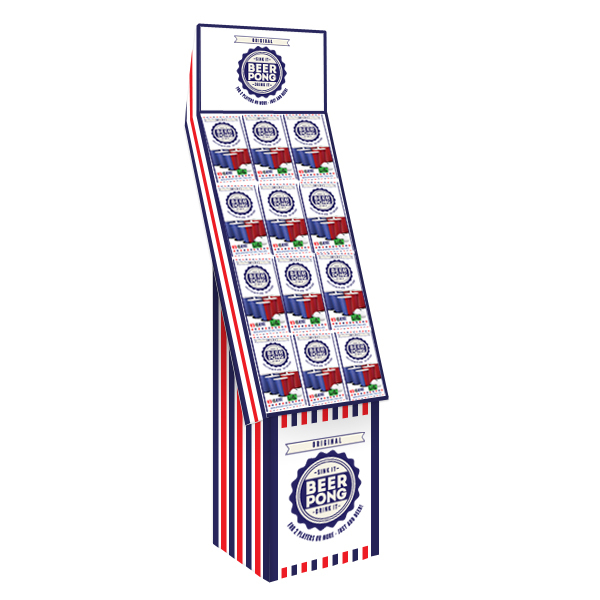 POS display units are available for this product.